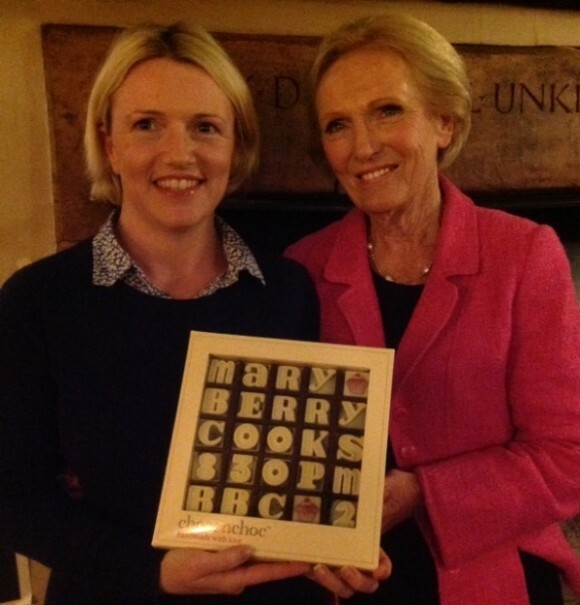 We are very excited for Choc on Choc and its founder, Flo Broughton, whose innovative (& patented) chocolate-making business was featured in popular chef Mary Berry’s “Mary Berry Cooks” on 25th March on BBC2. Flo showed Mary how to make moulded cupcake chocolates as well as chocolate letters at their factory in Rode, Somerset. Choc on Choc designs and produces high quality Belgian chocolates crafted with unique, entertaining and original designs. Popular ranges include chocolate shoes, handbags and golf balls as well various do-it-yourself kits such as chocolate houses and Big Bens.